Hello Little Ones, Being Australian we really don’t do Halloween, although this isn’t stopping every major retailer from here to Tasmania giving their October marketing dollar a red hot run. 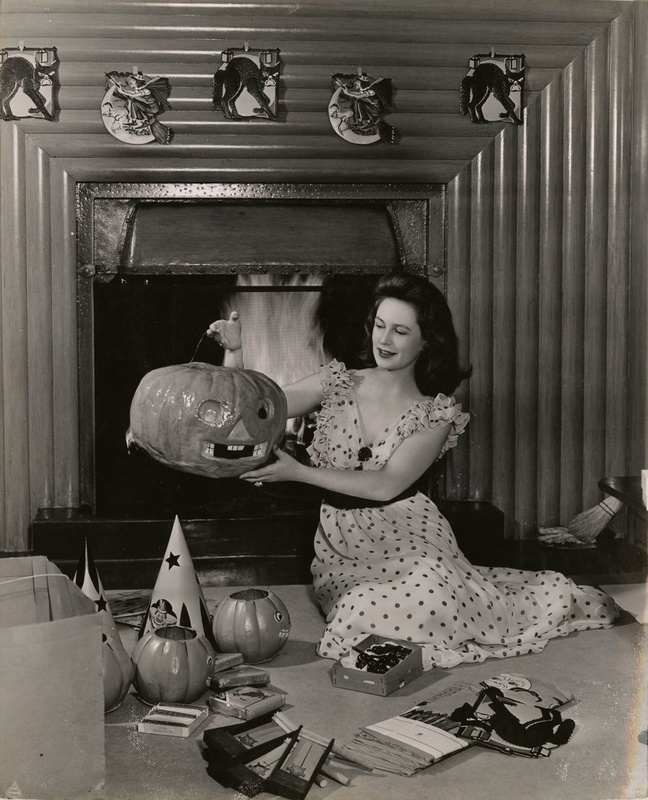 So rather than spend the whole (I’m only spending a small portion) post bitching about it I shall share some gorgeous Halloween vintage photography with you instead! I’ve got to say unless you’re American and want to have a fun gathering teaching us Colonials all about this delightful tradition, I feel that by ‘celebrating’ Halloween here in Melbourne you’re likely to get, at best arrested, and at worst, never spoken to again by your neighbours who (I presume like most Aussies you ignore for the whole year, including Christmas Day) can find it rather surprising, to say the very least, to see their close neighbours ghoulishly-dressed child magically appear on their front porch, come early evening on October 31st, demanding sugary treats… Honestly friends, just give it a miss or use it as a good excuse for a catch-up with a few other families and have a backyard BBQ, letting the kids run free, now that daylight savings has arrived. 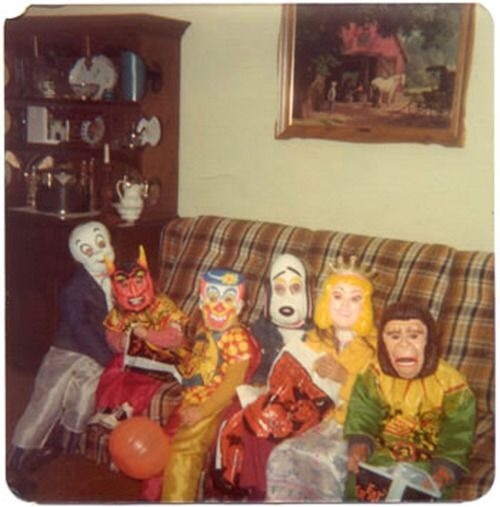 Take a look at the tradition of Halloween and how and why it started; base your celebrations around that if you wish. So, rather than feature anything spooky, scary or gruesome, don’t into the hype here in Australia (this comment is to be thoroughly ignored, my darling and most delightful followers from the good ol’ US of A – this is your celebration; enjoy!) 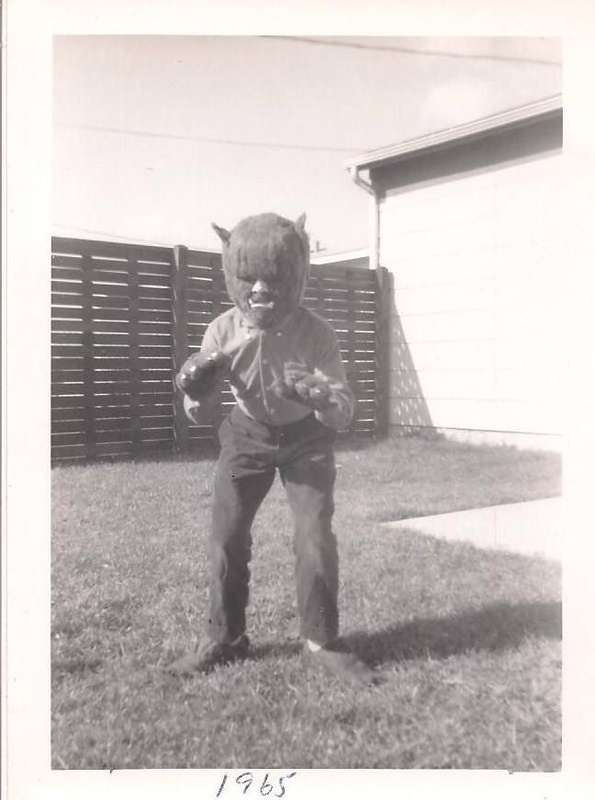 I thought I’d share some awesome vintage Halloween images for you to enjoy! So darlings. Enjoy! 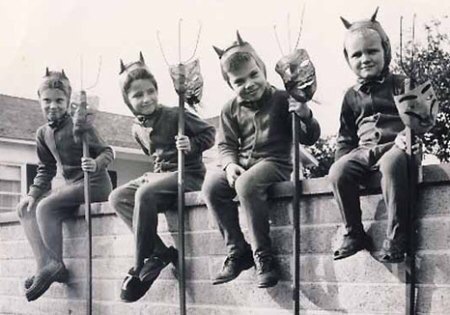 These little devils files look like they’re having fun! 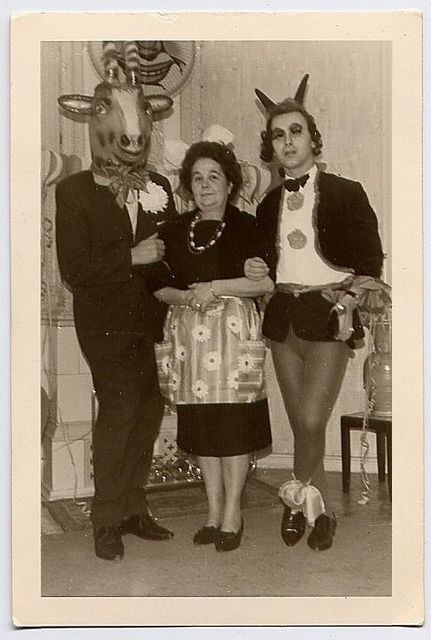 Every year since 1952, Margery became more and more concerned that her sons may not find suitable wives. 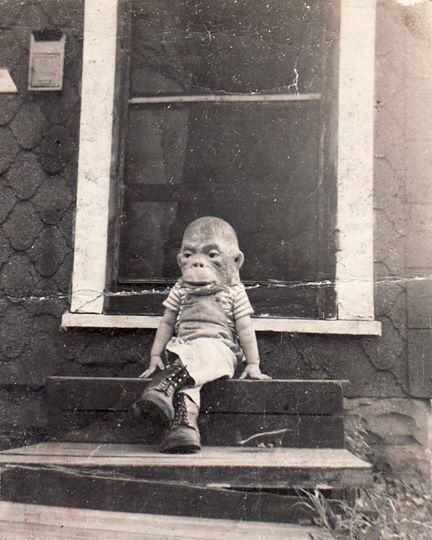 Timmy was told to sit on the naughty step after he stole another banana. Giving Frank the table scraps seemed to be giving his coat a glossy shine. 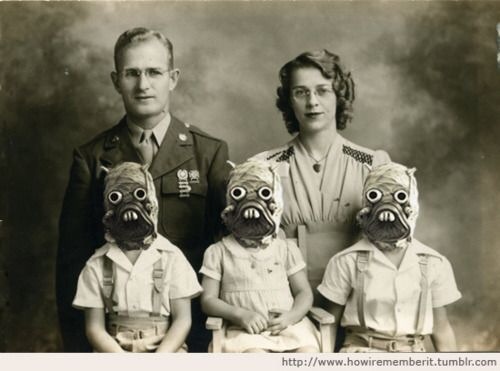 Gladys and Bob were thrilled that adoption laws had finally been relaxed. 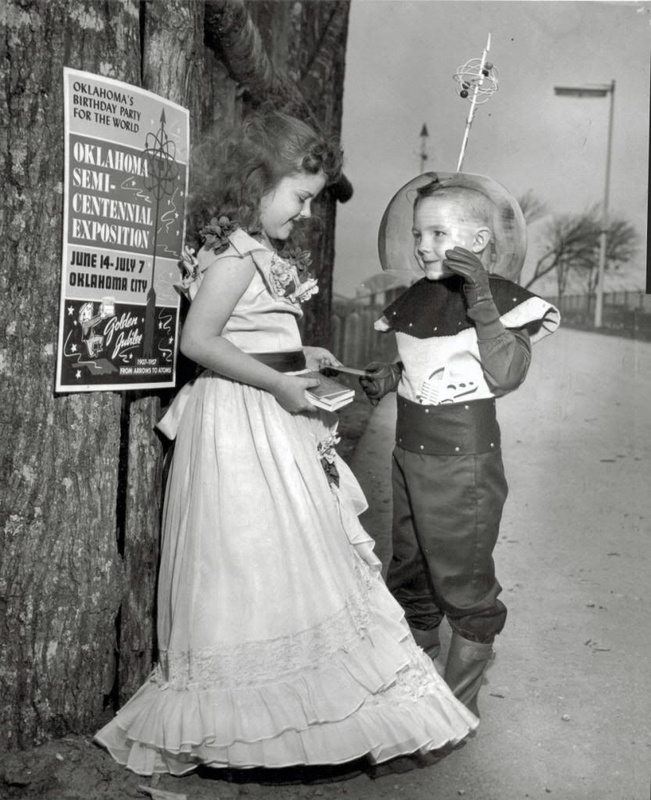 The spacesuit always made Bobby feel he could punch above his weight. Edith kept kept a momento from each of her ex-husbands.